Pakistan are seeking to bring more international cricket back to the country, as New Zealand consider an offer to end their long absence. 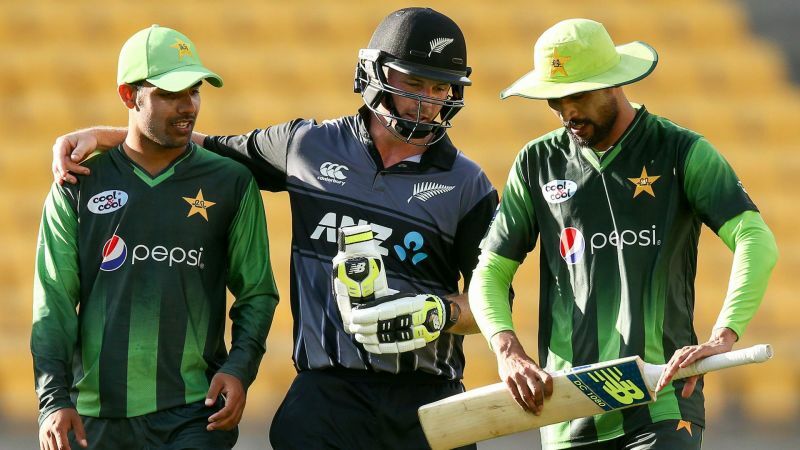 New Zealand consider offer to play in PakistanPakistan are seeking to bring more international cricket back to the country, as New Zealand consider an offer to end their long absence. News 02 May 2018, 21:48 IST face New Zealand in a one-day international seriesNew Zealand Cricket has confirmed it is considering an offer for the Black Caps to play in Pakistan. Sri Lanka returned to play a Twenty20 international in Lahore in October, followed by a three-match T20 series between Pakistan and West Indies in Karachi last month. “NZC has received a request from the PCB chairman for New Zealand to play in Pakistan,” said spokesperson Richard Boock. New Zealand’s last appearance in Pakistan came in an ODI series in 2003, a year after their Test series in the country was abandoned following a deadly bomb blast outside the team’s hotel in Karachi.